Germany started the game motivated, the result is close in the first part , but Norway just pushed them harder and harder. Susan Müller could not find the goal, Grimsbö made some excellent saves. Katja Kramarczyk in the German goal was also in big shape, stopping many attacks of Norwegians in clear situations. 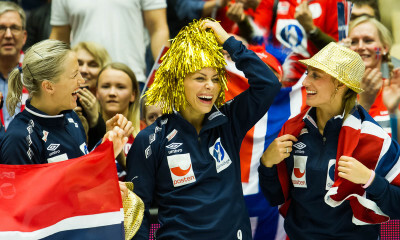 After a timeout of Thorir Hergeirsson Norway took the control of the game and Löke, Mörk, Herrem or Oftedal secured scorings to increase the lead. Good period of Germany in the start of second part, 14-19, Susan Müller netted several times. Norwegian timeout stops the German flow and Norway increased the lead, 14 – 21. 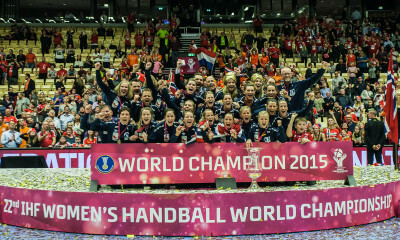 From this point team of Jakob Vestergaard never had chance to come closer and Norway sailed into the quarterfinals again.